Hailing from Kentucky in the Deep South of the United States, Black Stone Cherry have been flying the flag for Southern rock – a genre that emerged as a curious mix of Americana genres such as country and rock ‘n’ roll – since 2001 and now in the midst of promoting their sixth studio album, Family Tree. Their blues-y rock roots really come to life on this record (no pun intended), which is unsurprising as the band assured that Family Tree would have a much more traditional sound than what you hear on their previous releases. The contrast in sound between this and the last album is instantly noticeable. Last time around the aim seemed to be for fat, drop tuned riffs, big choruses and an overall darker theme, whereas Family Tree seems to be more likely to make you dance than mosh. The album, self-produced, was recorded at Barrick Recording Studios in Glasgow, Kentucky, as if returning to the studio of their early career allowed them to capture the quintessence of the scene. It’s fair to say this record is a real family affair. They’ve also brought a guest along too to share in the fun as Warren Haynes from Gov’t Mule makes an appearance. There’s a handful of tracks that stand out as the best on the record. ‘You Got The Blues‘ sees a cameo guest vocalist appearance by lead singer and guitarist Chris Robertson’s five-year-old son. There’s a quirky intro to this track before it evolves into one of the heaviest on the album. ‘My Last Breath‘ on the other hand, is a very personal ballad in the form of a letter from Robertson to his son. The lyrics are straight from the heart, and the layers of the song are simple, resulting in what can only be described as a beautiful song. 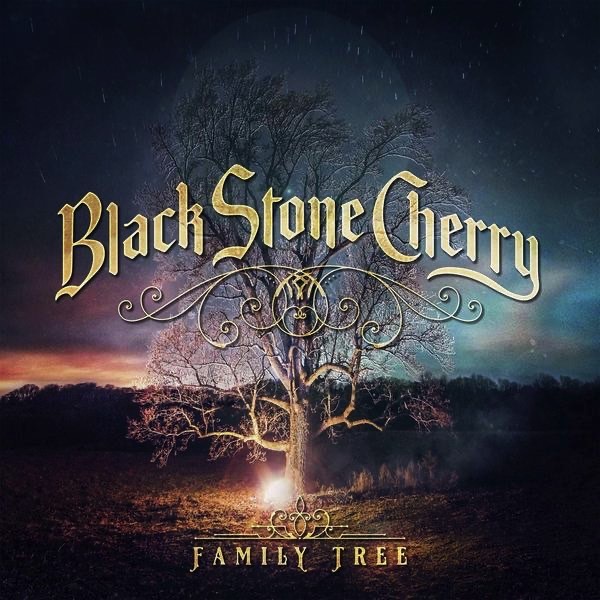 With Family Tree, Black Stone Cherry has clearly gained a truly unique sound that has one leg in blues and one leg in Southern rock. It’s music that really meets the ‘roots’ of the band. Since their debut they’ve only been working with sounds that appeal to them, which is why they have had a few different changes of direction over the years. Certainly when you think you’ve heard everything in this particular style, Black Stone Cherry proves that they know how to innovate. With a band like this as your favorite, you are seldom going to be disappointed. I'm a bit too pop for the punk kids but I'm too punk for the pop kids. Roberries, Gunshots and Billy Ray Cyrus – Here’s What Our Favourite Music Videos Of The Week Look Like.